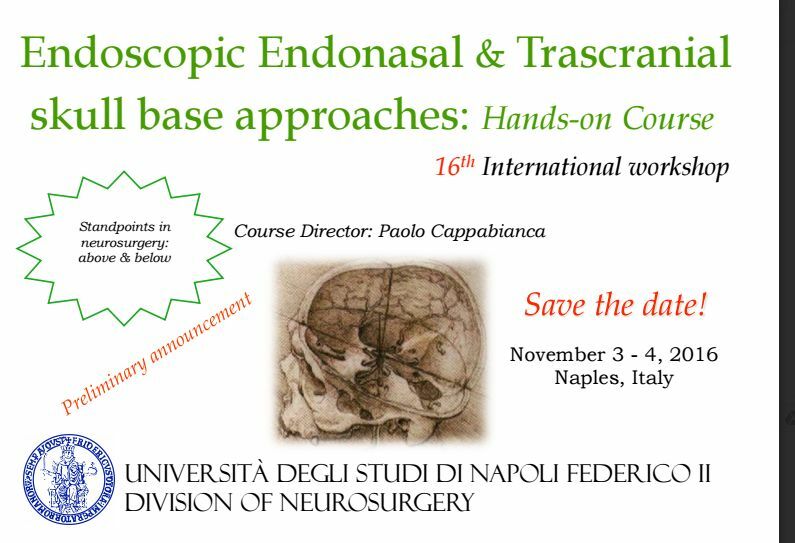 Once again I would like to remind of the next Skull base International Workshop that will be held in Naples in November 2016 and I will be grateful if you could advertise it among the affiliates of your society and/or popularise it via web throughout scientific events agenda section of the societies. Herewith attached please find the preliminary announcement and the preliminary programme. 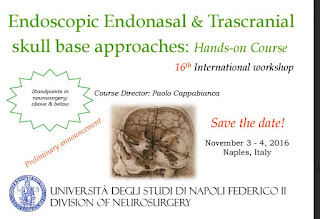 dr. M. Caterina Andriani (caterina.andriani@gmail.com), who is cced.